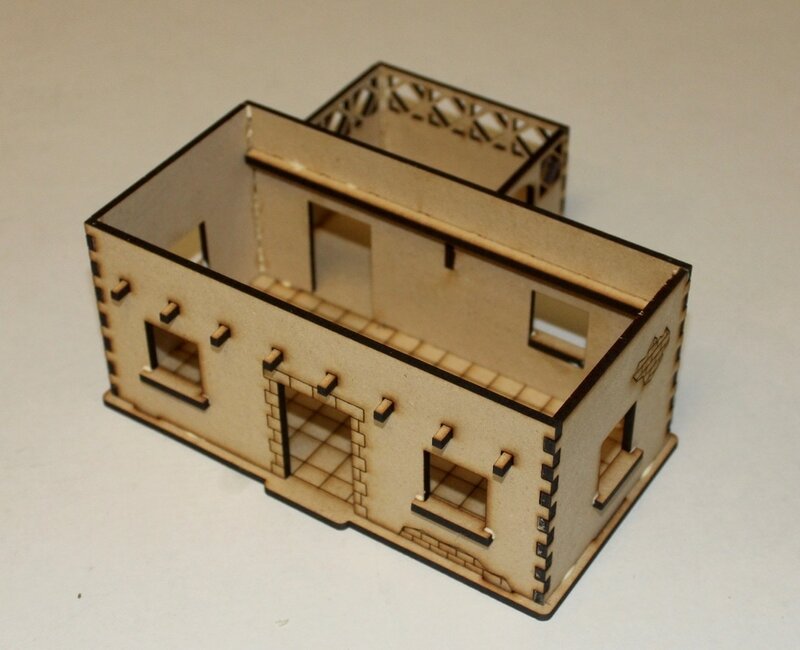 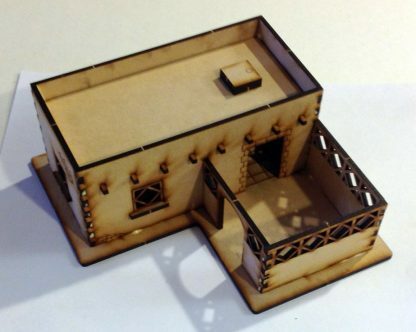 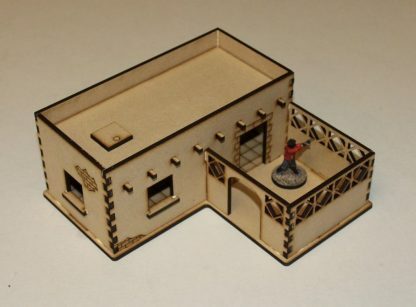 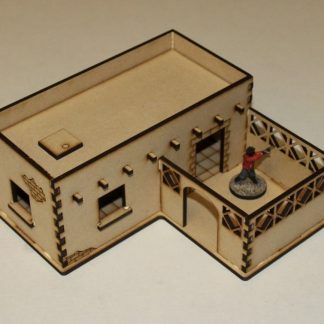 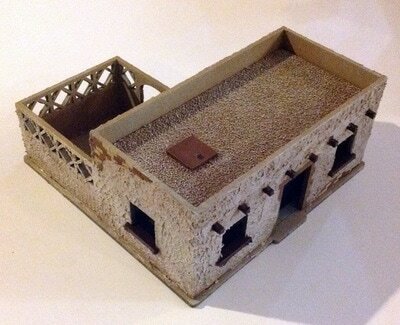 This L shaped building can be used as a more prosperous house in your Middle Eastern village. It features a rectangular structure similar to ME002 but adds on an outdoor courtyard with decorative cut view ports around it. 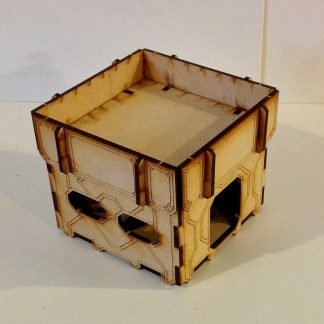 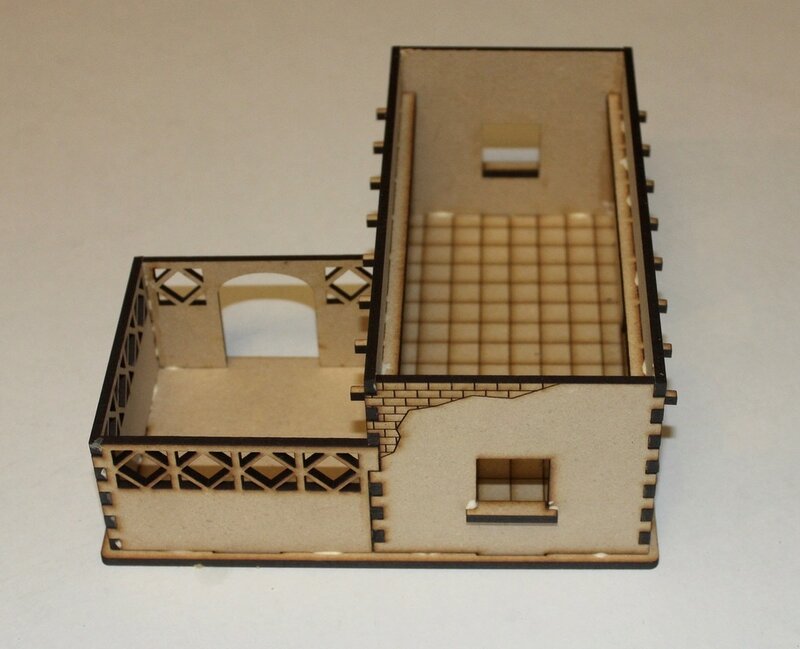 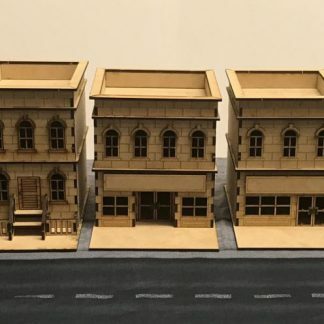 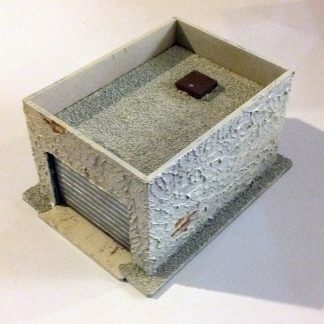 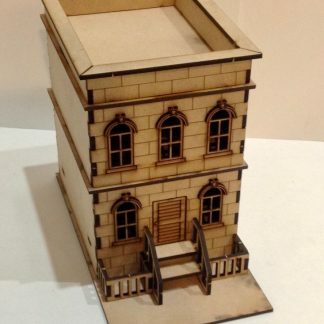 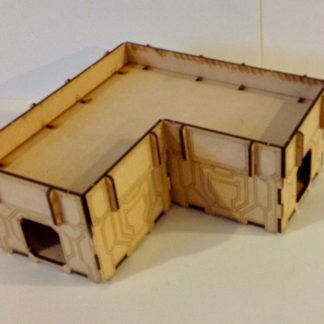 The base is roughly 6 5/8″ x 6 5/8″ (170mm x 170mm) and the building is roughly 6″ x 6″ x 2 3/4″ (150mm x 150mm x 70mm).